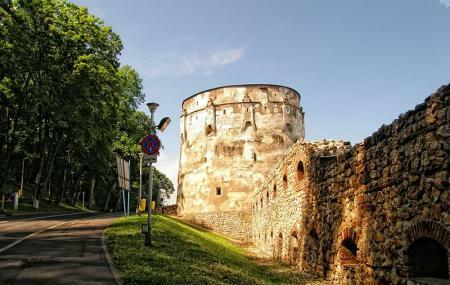 The Draper Bastion was built by the goldsmith guild in the mid 15th century and consist of a circular fortress that has a height of 19 meters and a diameter of 16 meters. The bastion belonged to Goldsmiths’ guild which received 10 bombers fom the city of Prague as a gift. In the 17th century it was handed down to the Draper’s guild. Even though you can find inconsistencies in the structure, you can still see its original framework with walls that are two meters high, openings that would hold cannons and small firing holes used for shooting. Although it is a small fortress, it was considered to be well protected. Fun fact: to make sure that the original structure would not crumble, an independent tower was built inside to preserve the building. Today, it hosts a museum. Walk along the edge of the park at the base of Tampa Mountain and you will find several of the old towers and bastions from medieval times. There are all lovely to see but you can't go inside any of them. Neaparat de vazut de sus de pe promenada.